Back in 2009 I started a grist mill on the Eastern Shore of Virginia to grow, cure and grind an heirloom variety of Indian corn known as “Bloody Butcher” c.1840 DNA. I marketed the cornmeal to local, natural and historic distributors including Whole Foods and Monticello. In the Spring of 2013 my local antique tractor club came to the farm to plow my cornfield and have a fun “plow day” with a BBQ lunch. My brother Bob decided to take his metal detector to the plowed field to look for a coin and picked up a large metal signal which turned out to be an 18th century barrel hoop. Below the hoop were clam and oyster shells with both halves still together! He came to the house to get me and together we unearthed an intact 18th century brick lined cellar. In the weeks and months to follow we located another brick lined cellar five trash pits and four early brick foundations. 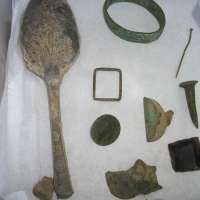 We carefully excavated and preserved the contents of the two cellars and part of one pit before we realized that we needed to find professional help. 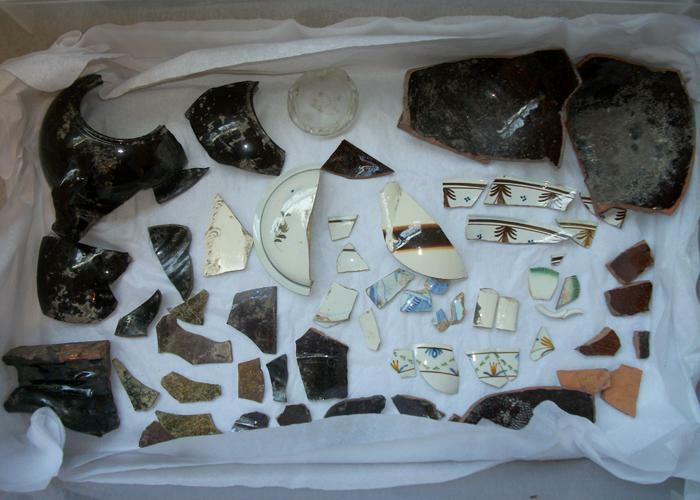 In the two months we were actively digging on the site, we preserved ten cases of artifacts. Bob and I have since contacted numerous archaeologists and have had many of them review our collections with the utmost fascination. It turns out that this site was a “first contact” site between the English and the Indians. Further research revealed that it also belonged to my 12th great grandfather Richard Kellam who patented the land from the King of England in 1662. 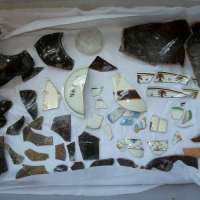 So, as it turns out, what we are finding is part of a lost plantation and part of our rediscovered family heritage. I had been planting corn in the footsteps of my ancestors! The story does not end there. Based on the large collection of 17th and 18th century clay pipes found during our excavation period, Bob and I decided to start a pipe company to manufacture historically accurate corn cob and clay pipes. We began this endeavor last year with the introduction of our corn cob pipes made from my surplus Indian corn cobs and this year we opened our new clay studio which will manufacture replicas of the 17th and 18th century pipes we have in our collection. We are currently one of only two companies in the U.S. to manufacture corn cob pipes. 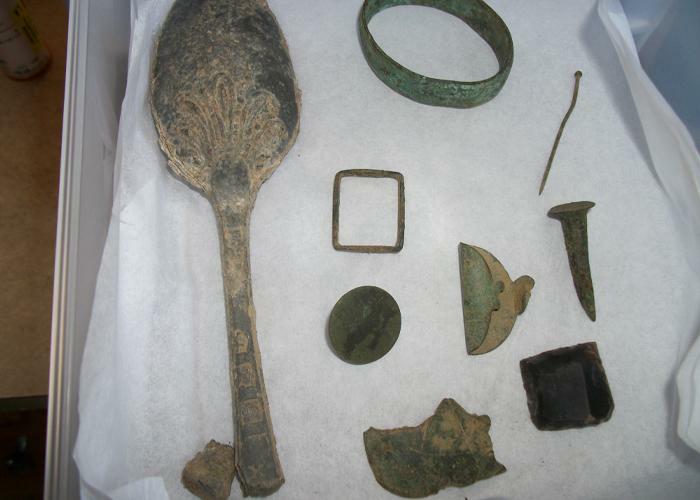 Our ultimate goal is to build a museum on the farm to house the growing collection and serve as an educational center in which children and adults can come to study and learn about early Colonial life here on the Eastern Shore of Virginia. We want everyone to enjoy the discovery as much as we have.